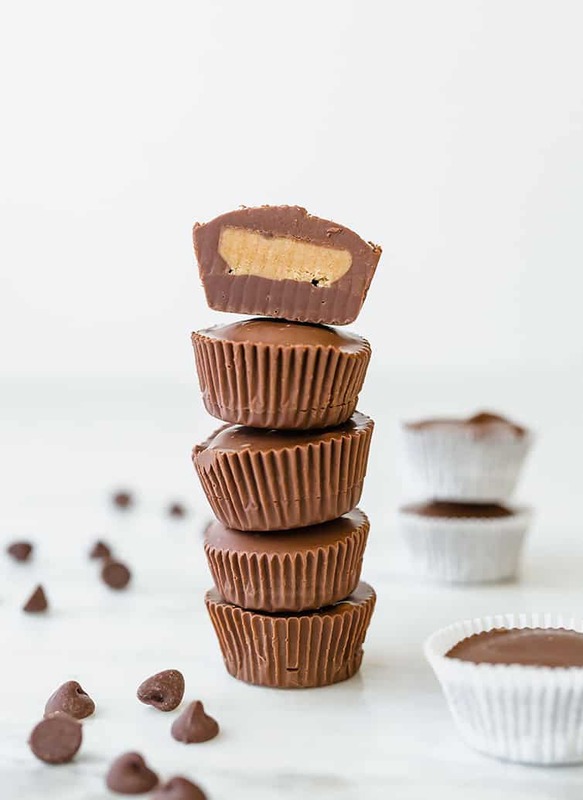 A homemade version of Reese’s peanut butter cups. 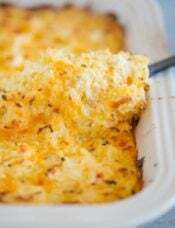 This easy recipe comes together quickly and is great for gifting or stashing in your freezer! There is absolutely no question about where my heart lies when it comes to candy. Reese’s Peanut Butter Cups and Reese’s Pieces are it for me. Reese’s cups were my favorite Halloween candy as a kid, so it’s only natural that I immediately cozy up to recipes that merge together two of my favorite ingredients – chocolate and peanut butter. Over seven years ago, a reader of mine, Lissa, shared this peanut butter filling recipe with me, citing that she used it as a base for peanut butter bars. 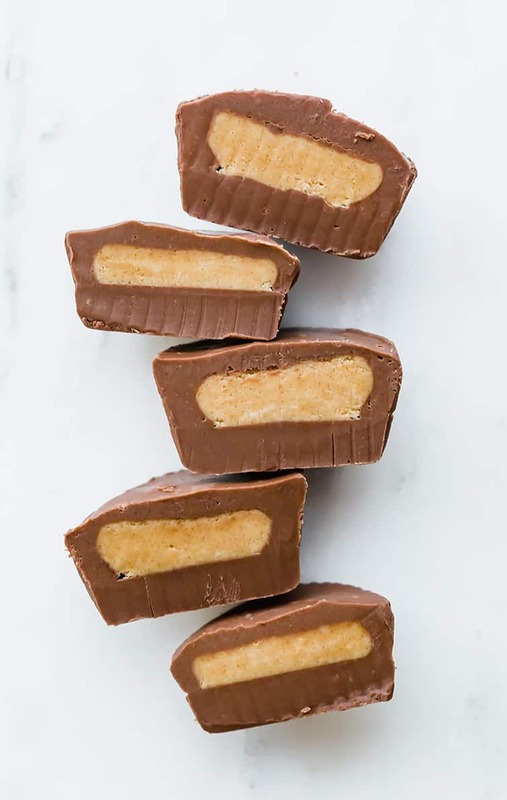 At the time, I already had a go-to recipe for peanut butter bars, but what she sent me sounded like a perfect filling for homemade peanut butter cups. After doing some testing, I discovered that it really WAS a perfect recreation of Reese’s peanut butter cup filling. Behold! The most amazing homemade peanut butter cups – super easy and a great project to do with kids! 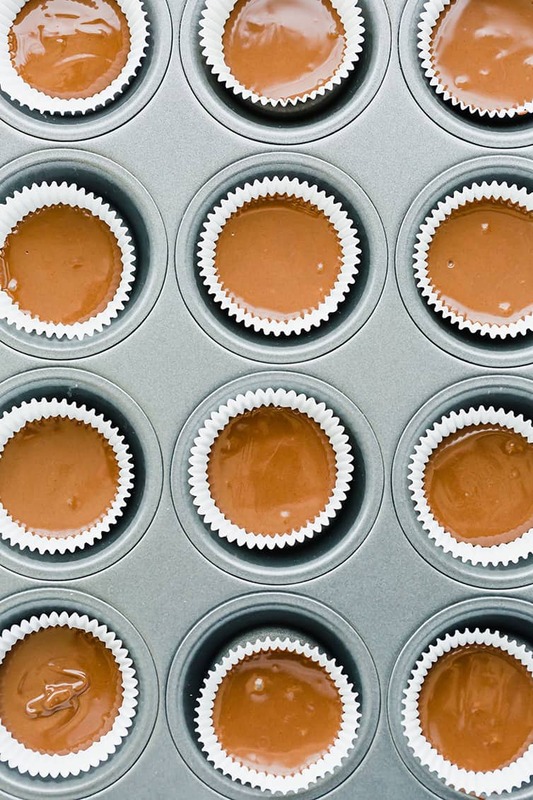 How Do You Make Homemade Peanut Butter Cups? They’re super easy and just require a few steps! First up, you mix melt together peanut butter, butter and brown sugar in a saucepan until bubbling, then take it off the heat and add the powdered sugar a little at a time until it’s completely absorbed, then set it aside to room temperature. Meanwhile, melt milk chocolate together with vegetable shortening and line the muffin cups with some of the chocolate. 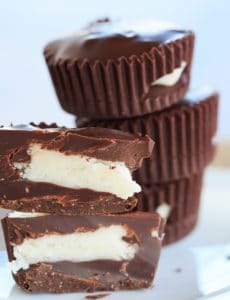 Scoop balls of the peanut butter filling and press into a patty, then place on top of the chocolate in the muffin cups. Top with more of the melted chocolate and chill until set. 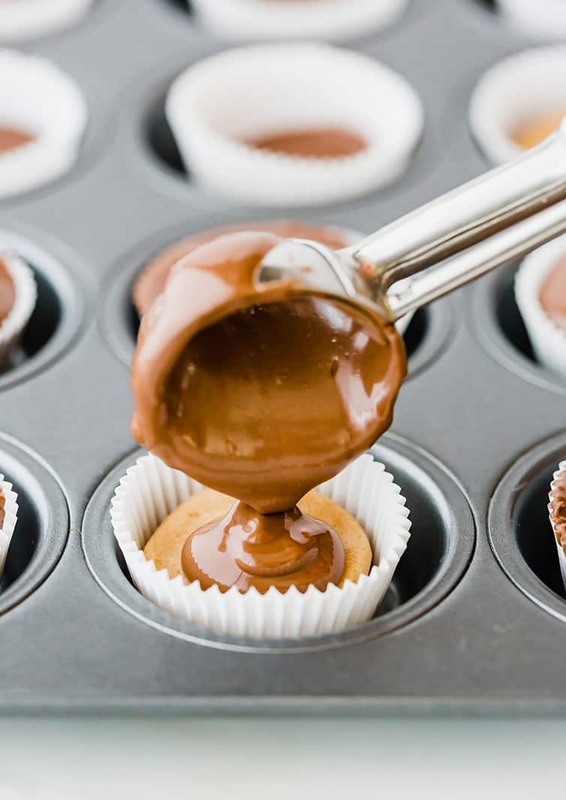 I’ve seen some people use a pastry brush to brush the sides of the cups with the melted chocolate so you don’t have any little naked spots on the sides, but I’ve never had an issue with glaring open spots, so I’ve never done this. But consider it an option! Substitute semisweet or dark chocolate for the milk chocolate. Substitute almond, cashew or another nut butter for the peanut butter. 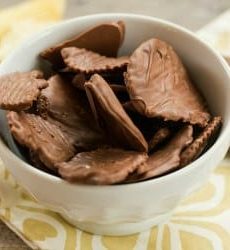 You can use chocolate chips instead of the the chopped chocolate. You can substitute refined coconut oil for the vegetable shortening. If you are a fellow chocolate and peanut butter lover, then homemade peanut butter cups are a must in your kitchen! They make a fantastic gift for Halloween or Christmas, a great addition to cookie trays, and are also perfect for stashing in your freezer for peanut butter cup emergencies (because I’m fairly certain that’s an actual thing, right?). 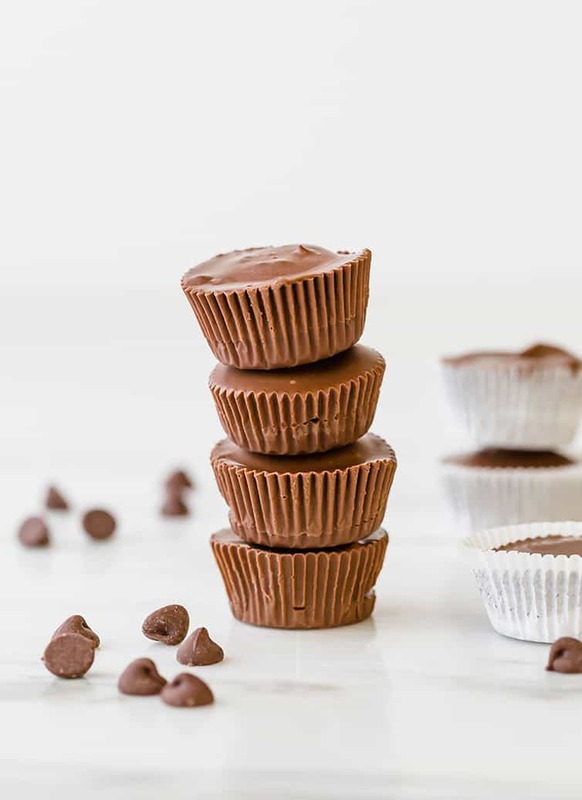 A homemade version of Reese's peanut butter cups. This easy recipe comes together quickly and is great for gifting or stashing in your freezer! In a medium saucepan, combine the peanut butter, butter and brown sugar over medium heat. Heat until completely melted and starting to bubble a little, stirring constantly. Remove from the heat. Add the powdered sugar a ¼ cup at a time, stirring until completely combined with the peanut butter mixture after each addition. Set aside and let cool. Meanwhile, melt the chocolate chips and shortening together in the microwave on 50% power in 30-second increments, until completely melted, stirring after each burst. Use a heaping teaspoon to scoop out the peanut butter mixture. Roll it into a ball, and then flatten it slightly into a disk. Place on the prepared baking sheet lined with parchment paper. 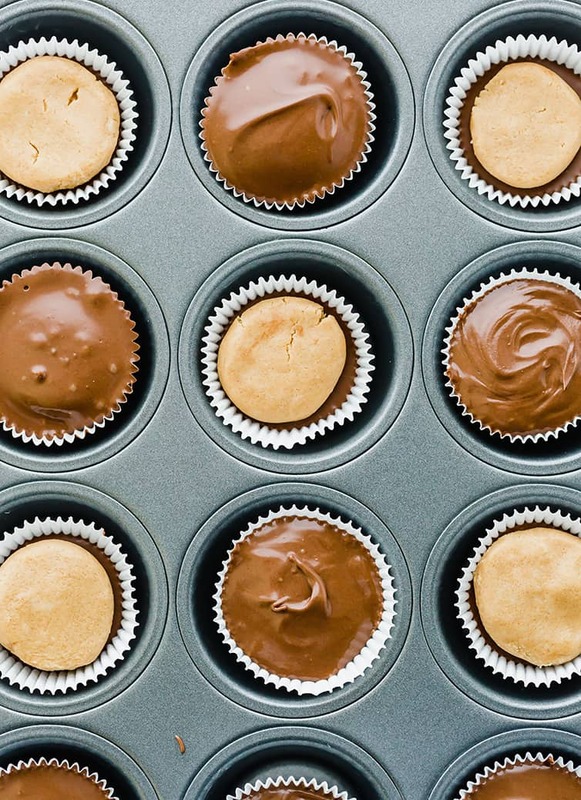 Once finished with all of the peanut butter mixture, refrigerate both the muffin tins and the peanut butter patties for about 30 minutes. Refrigerate again for 30 minutes, then they're ready to serve! Store in the refrigerator for up to 1 month or in the freezer for up to 3 months. 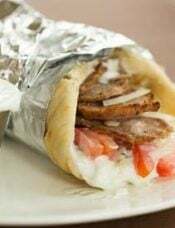 You can keep at room temperature in an airtight container if you're going to serve them the same day, but they'll start to get soft if not at cool room temperature. 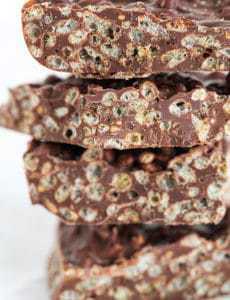 You can substitute milk chocolate chips for the chopped milk chocolate. You use different nut butters, I recommend using "processed" versions; the "natural" version of nut butters will be too oily for the filling. 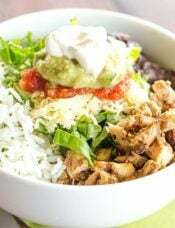 This recipe was originally published on August 2, 2011. I like to keep recipes ( blogs) that my family dearly loves handy on my desktop so I can refer to them easily when shopping for ingredients & cooking, after all time is of the essence. It would be nice if all bloggers put their recipes in the same place (beginning, end/top or bottom) so that we can access them faster. It never fails, I waste valuable minutes scrolling up & down the blog trying to find it. If any other moms have an solutions, I am all Micky Mouse EARS! Thankksss !!! I love peanut butter cups! The perfect treat! Hi Michelle! What do you think of using this peanut butter filling for a homemade pop tart? Yum! I’m putting this on the To-Make list for my girls and me. Along with the homemade crunch bars, coconut cups, and chocolate-covered potato chips suggested at the bottom of the post. I’ve really got to get stay this site when I’m hungry, lol. How long might these store in the fridge? Hi Lauren, They would keep for awhile, I’d say a month. I tried to email this recipe and was sent to the comments. Hmm I just tried it, and the email button worked just fine for me. Try refreshing the page and doing it again? I know that this question was probably asked already, but I am still unsure. –>Could you replace the shortening with vegetable oil or butter? –>What is the difference between butter, vegetable oil, shortening in melted chocolate? –>Also, I have read about tempering to give the chocolate that nice “snap” when you bite into it. Would the shortening give it that “snap” or can you only get that from the tempering process? –> Does the shortening help prevent melting in the finished product and give it a nice texture? 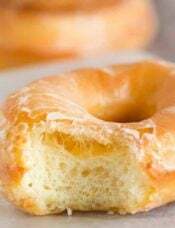 –> Also what is the purpose of the butter in the peanut butter filling? These look wonderful! I am wondering whether anyone has tried it with natural peanut butter (without stirring in the oil)? Also, has anyone tried them with coconut oil instead of shortening? I have some I need to use up. It has a hint of coconut flavor, but it isn’t strong. Oops! I now see you mentioned the coconut oil in an earlier comment/question. Sorry about that part! 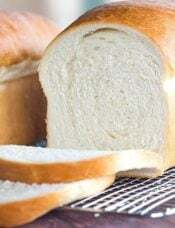 Any thoughts on the natural PB would be greatly appreciated. Hi JC, I haven’t tried these with natural PB, although I generally find it to be too oily for general baking. Hi Jackie, I have used both; either will work just fine. You answers are always so quick. Thank you for that. I went ‘economy’ and used ChipIts… worked fine. I used the filling from your Peanut Butter Cup Bars for that true Reese ‘grit’ feel. Mouthwatering, I had to put them all right in the freezer to be smashed the next day for your Chocolate Peanut Butter Cup Ice Cream. Devine! FYI: When writing a recipe, the ingredients are written IN ORDER OF USE to make the recipe easier to read and follow. If ingredients are jumbled, it is too easy to omit that item from the recipe. Does sound wonderful, though. Judy, If you read the recipe, you’ll see that the ingredients ARE listed in the order that they are used. They are not jumbled. WOW! These are Wonderful !!!!!! I live in Australia and miss peanut butter cups so much. 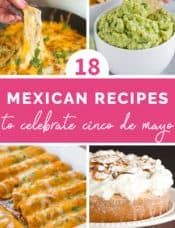 Have tried may recipes to make them but they were always too much effort and the results were average. We don’t have Crisco so I use ‘Copha” instead and the results were amazing! Thank you! 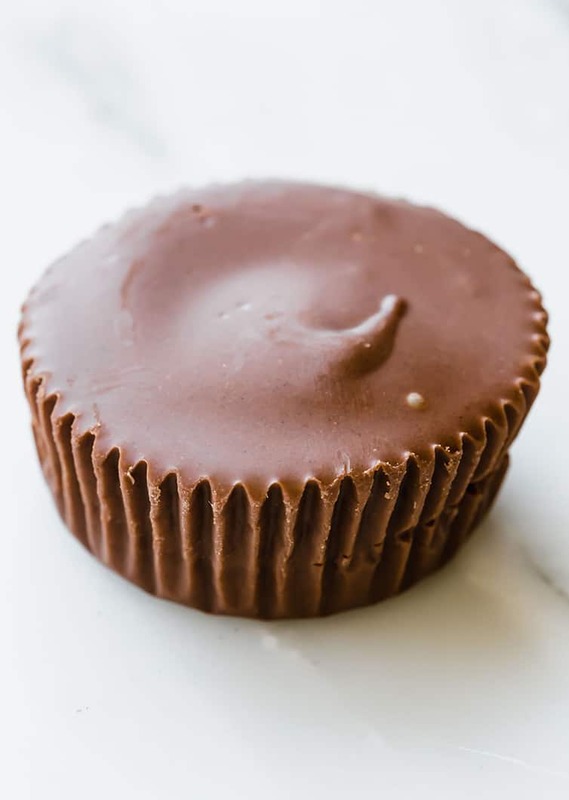 I’ve been making peanut butter cups for 20 years and my trick is to use a Turkey baster to distribute the melted chocolate into the muffin papers first then put the filling in and do it again for the tops. Was wondering if you think using the coconut oil would make them more stable at room temperature since you mentioned they soften unless it’s cool. I have a jar of coconut oil I’ve been wanting to use for homemade magic shell although I am a bit worried about the taste. Do you find the coconut flavor to overwhelming? My husband is decidedly anti-coconut. Thanks! I used coconut oil for the shell for my homemade klondike bars. You can definitely taste a bit of the coconut. I wouldn’t call it overwhelming, but unless you have serious issues with vegetable shortening, I wouldn’t use coconut oil for these peanut butter cups. Michelle. I do a lot of Christmas baking for others, also some for Craft shows. I love making specialty items. I am wondering what you might charge, if you were going to sell these? Hi Zoe, I actually don’t sell any of my baked goods, so I don’t have a price to give you. I LOVE THIS!!! It’s so sinfully simple not to mention the fact that its 10 times cheaper than buying peanut butter cups! Hi Karen, Yes, they are freezable. And yes, I would thaw in the fridge. Enjoy! Thanks, Michelle, I did use shortening and they came out fantastic! Much better than store bought…they’re almost gone, time for another batch. Thanks again.